With winter approaching, you may worry about the stairs outside your house, and if you struggle with mobility, climbing the stairs with ice and snow on them is even more difficult. A stair lift may be the perfect solution with models available for outdoor installation that are perfect for outdoor staircases. Outdoor stair lifts work the same as indoor stair lifts do: you sit in the comfortable seat, buckle the safety belt, press a button, and glide up or down the stairs to arrive safely and securely at the next level. Outdoor stair lifts do differ from indoor models in that they are made from durable materials that are created to withstand the harshest weather. Outdoor stair lifts are built to deal with the elements with weatherproof covers that protect the lift from wind, rain, snow, and ice. They come with marine-grade vinyl seats and other features that withstand weather conditions with covers that keep the lift free from snow and other elements. The covers protect the motor and seat. 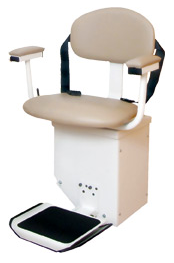 Outdoor stair lifts can also come with a heater to keep the motor warm in winter. Another feature of outdoor stair lifts is that even though they are built to withstand harsh winter weather, they are still built with your comfort in mind. They have a soft-padded seat and backrest, which is waterproof, so you travel in comfort in all kinds of weather. 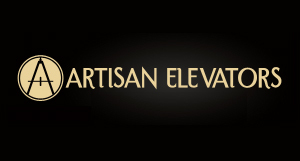 Look online for stair lift companies that specialize in outdoor stair lifts. They will provide further information on how they are winterized, and they will install them safely in your home. Don’t let the coming winter make climbing outdoor stairways difficult. Get an outdoor stair lift and you will no longer have to worry about your trip up or down the stairs when coming home or leaving. Instead, you can sit down and safely strap in and be on your way up and down in winter weather. Don’t fall victim to icy stairs this winter and contact a stair lift company today to find out what steps to take to have a lift installed at your home.